Valentina Lisitsa plays Beethoven’s The Piano Sonata No. 14 “Quasi Una Fantasia” Opus 27 No. 2, also known as the “Moonlight Sonata”. Completed in 1801 and dedicated in 1802 to his pupil, Countess Giulietta Guicciardi, it is one of Beethoven’s most popular compositions for the piano. A beautiful medley from the legendary three tenors: Luciano Pavarotti, Plácido Domingo, José Carreras. Songs: Cielito Lindo (Mexico), Ochi Chyornye (Russia), Caminito (Argentina), La Vie En Rose (France), Mattinata (Italy), Amapola (Spain). A beautiful aria, three different times, three great tenors. Lawrence Brownlee (2014), Luciano Pavarotti (1982) and Enrico Caruso (1904) versions of “Una furtiva lagrima” (A furtive tear), a romanza from act 2, scene 8 of the Italian opera L’elisir d’amore by Gaetano Donizetti. Russian concert pianist Sofia Vasheruk (b. 14th of May in 1988) plays Pyotr Ilyich Tchaikovsky’s Piano Concerto No. 1 in B-flat minor, Op. 23. Young Pianist Festival in Amsterdam, 24 November 2013. Noord Nederlands Orkest (NNO; English, North Netherlands Symphony Orchestra) conducted by Stefan Asbury. Maria Callas sings “Habanera” from Georges Bizet’s 1875 opera “Carmen”. Mstislav Rostropovich plays Johann Sebastian Bach’s Cello Suites, The Six suites for unaccompanied cello, probably the most frequently performed and recognizable solo compositions ever written for cello. Wiener Philharmoniker plays Maurice Ravel’s “Boléro”. 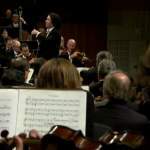 Conductor: Gustavo Dudamel. Wiener Philharmoniker (Vienna Philharmonic Orchestra) plays Maurice Ravel’s “Boléro”, a one-movement orchestral piece, originally composed as a ballet commissioned by Russian actress and dancer Ida Rubinstein. Conductor: Gustavo Dudamel. Maria Callas sings Habanera from Georges Bizat’s 1875 opera Carmen. 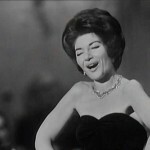 Maria Callas – “La Diva” sings Habanera from Georges Bizet’s 1875 opera Carmen. At Covent garden, 1962. Russian classical pianist Olga Kern (Gold Medal winner of the 2001 Van Cliburn International Piano Competition – whose performance of the Rachmaninoff Piano Concerto No. 3 made her the first woman to achieve this distinction in over 30 years) made her New York City debut in Carnegie’s Zankel Hall in May, 2004. Eleven days later she returned to New York to play at Carnegie again, this time on the stage of the Isaac Stern Auditorium at the invitation of Carnegie Hall. Władysław Szpilman plays Frédéric Chopin’s Nocturne No. 20 in C♯ minor. Polish pianist and classical composer Władysław Szpilman (widely known as the protagonist of the 2002 Roman Polanski film The Pianist, 5 December 1911 – 6 July 2000) plays Frédéric Chopin’s Nocturne No. 20 in C♯ minor.